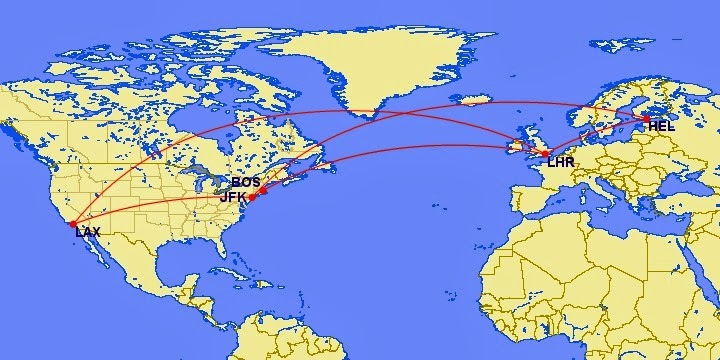 In the last ten days, my new skis have flown 35 000 kilometres. Yet, they have never touched snow. The airlines keep losing the bag, so the skis travel a day or two behind me. What a waste! So once again, I'm renting. 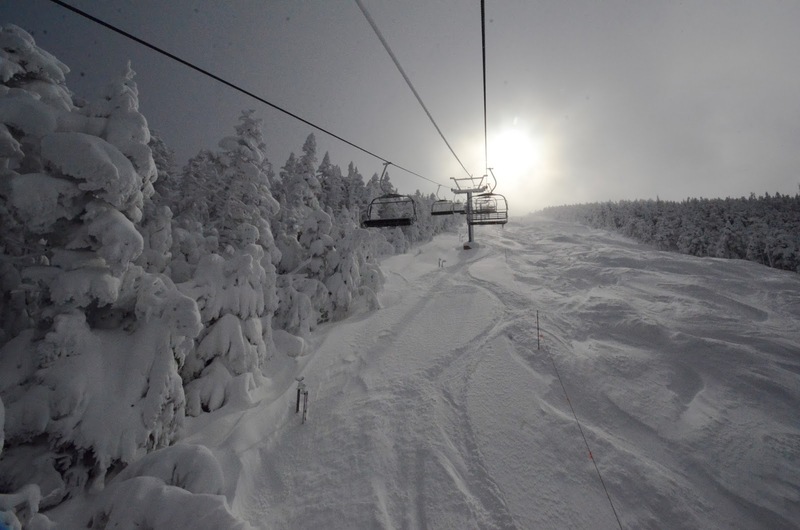 This time at Cannon Mountain, New Hampshire. 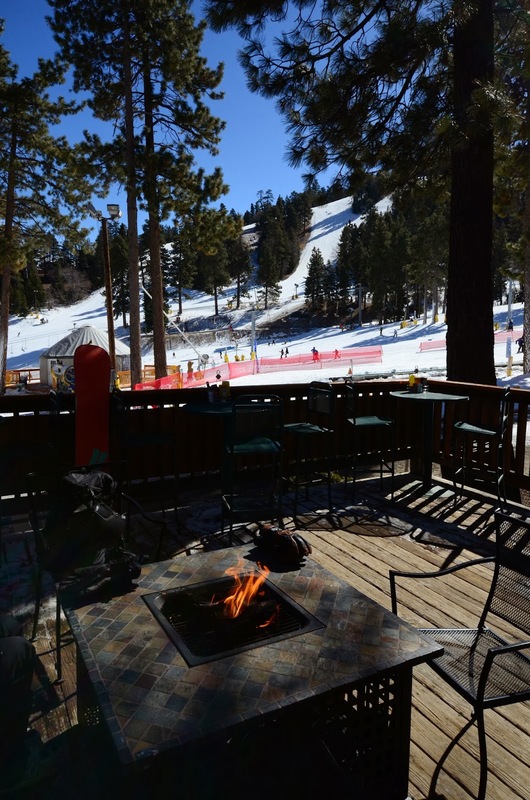 Another half-day of skiing after a weekend spent in travel and before the my meetings kick in. The skiing is good. As if I'd ever say something else :-) The lower slopes at Cannon are rather uninteresting though, even if you are looking for blue runs. 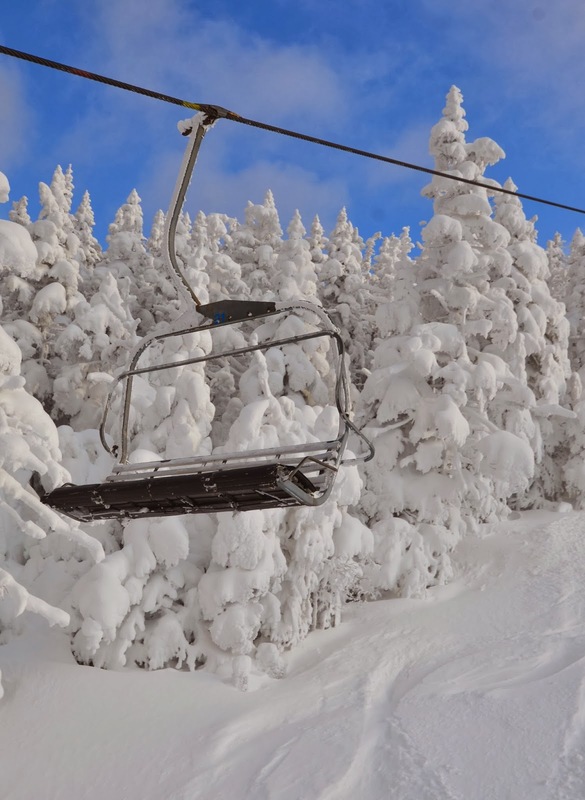 But the upper slopes are good, particularly the Cannonball black run and other slopes near the Cannoball Express Quad chair. DJ's tramline would also have been a great run, looked very steep. But there was no snow on it at the time of my visit. And indeed, Cannon is different, and has history. They built the first aerial tram in the US in 1938, for instance. There it is again. An avalanche. Luckily this time it was in the form of a meal in the local restaurant. 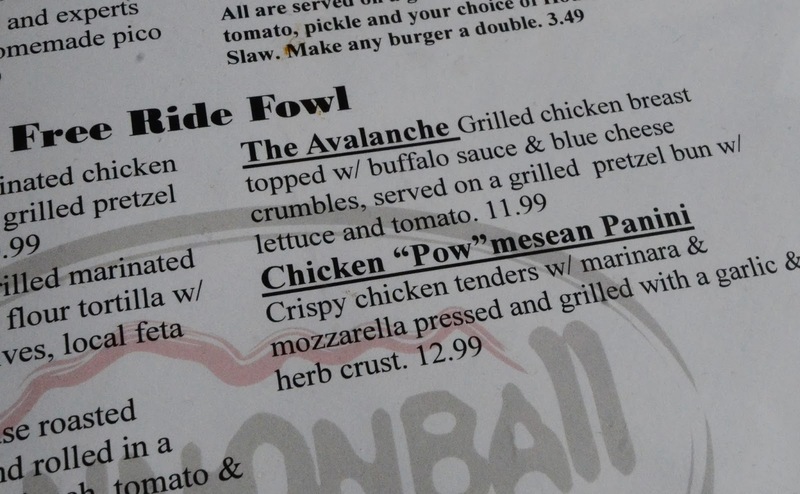 I grabbed the avalanche by both hands and ate it. There, I'm winning. 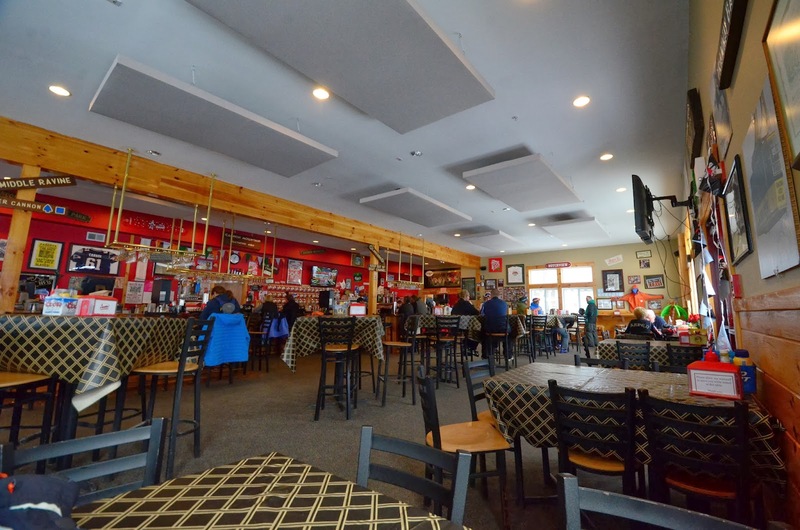 I recommend the restaurant at the lodge, rather than the self-service bar. 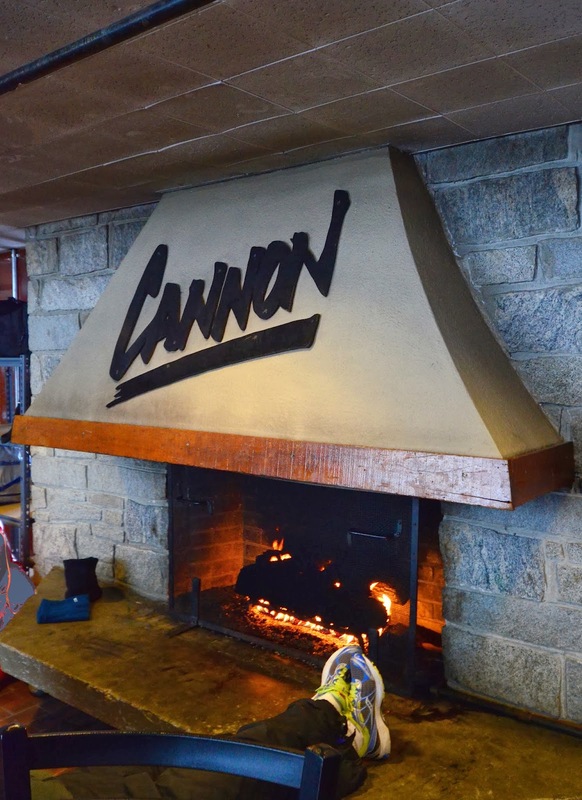 Cannon has an extensive, truly massive snow-making network. As I was skiing down some of the less skied runs, I encountered many "whales", snow dunes created by snow cannons. 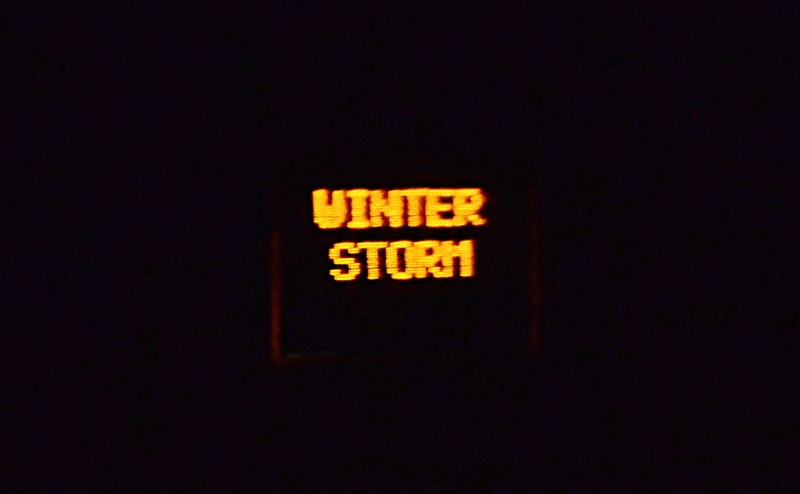 The drive to Cannon was interesting, as all the signs on the road warned about a "winter storm". From a road perspective, it was just some snow on the roads, nothing that I wouldn't have been used to at home. On the slopes though, it was pretty cold and windy. Videos and photos © 2014 Jari Arkko. Tämä blogi löytyy myös suomeksi. 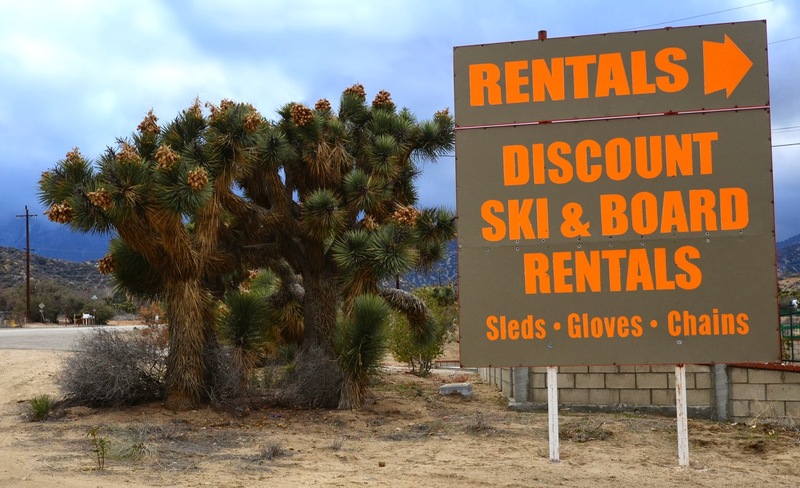 No wonder there is a discount: no snow anywhere and there is cactus next to the rental place. But I think I can find snow. 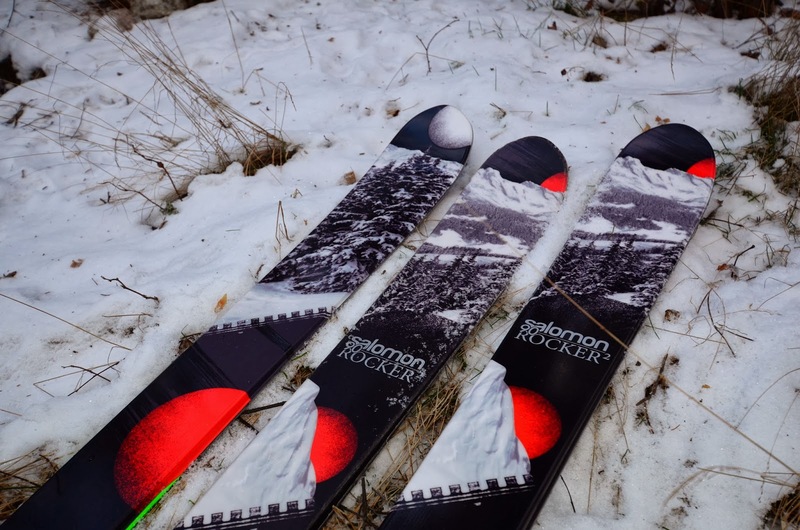 And I need the rental skis, because airlines keep losing my skibag. 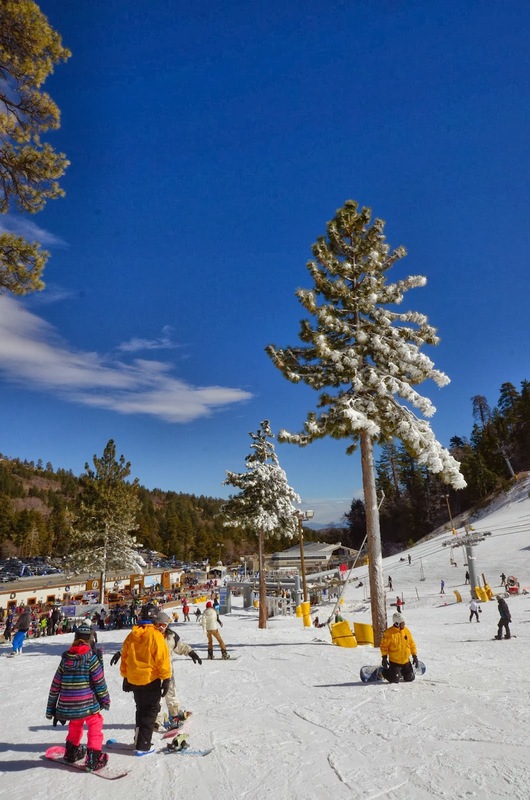 I'm heading to Mountain High, a ski area 100 miles from the beaches of Santa Monica. It is Sunday, and I have the morning off before my meetings start. 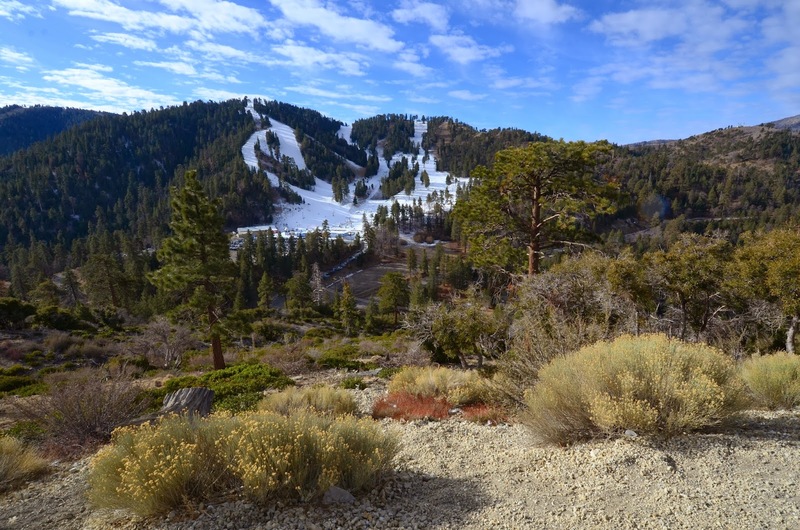 When I arrive at the ski area, it is exactly as I wanted: a thin layer of man-made snow, and no snow outside the ski area's boundaries. Hence, no avalanches. Still shaking from that experience! 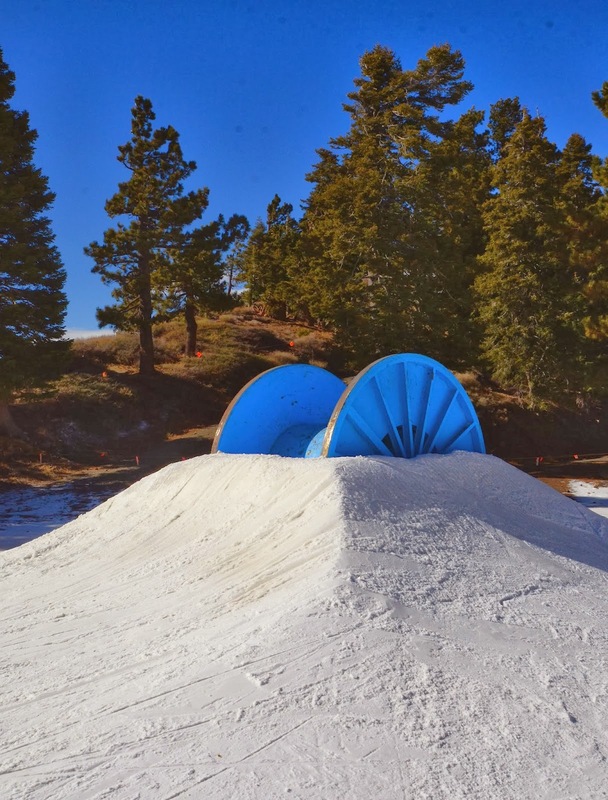 But the snow situation at Mountain High is not tailored for me, it has been an extraordinaly dry winter, and there is much less snow in California than usual. 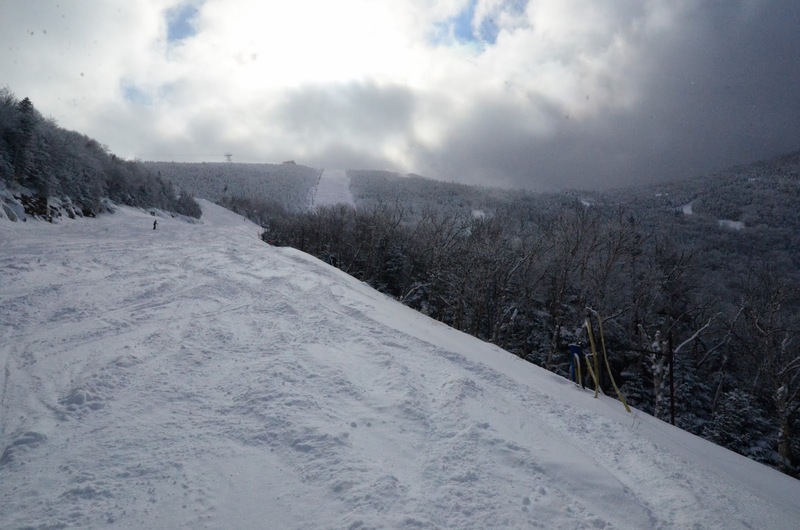 But Mountain High is open, although the snow is hard and icy. 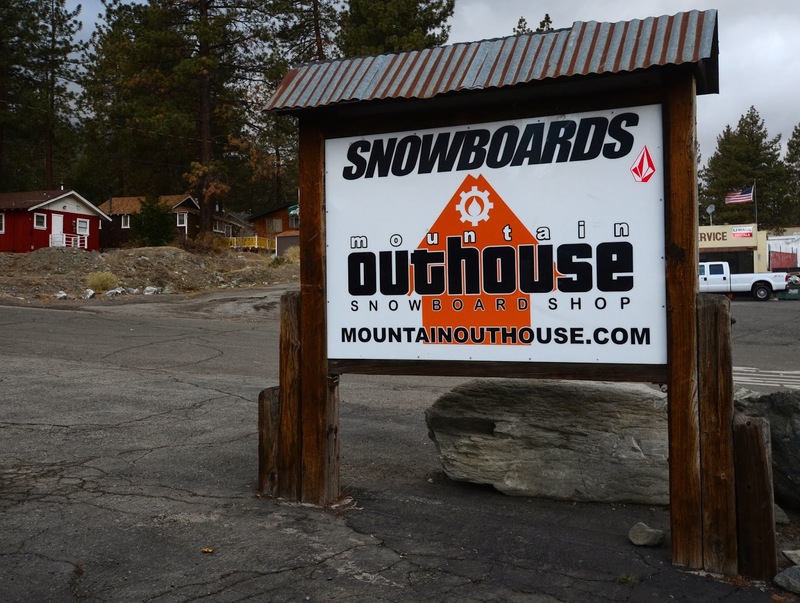 This small ski area is surprisingly interesting. 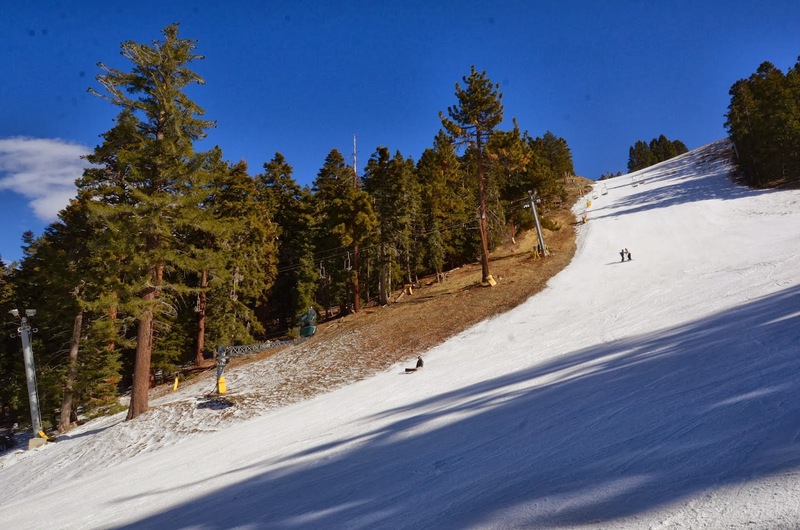 The 300-meter vertical descent is nice for a ski area so close to LA, and the more difficult runs are enjoyably steep. 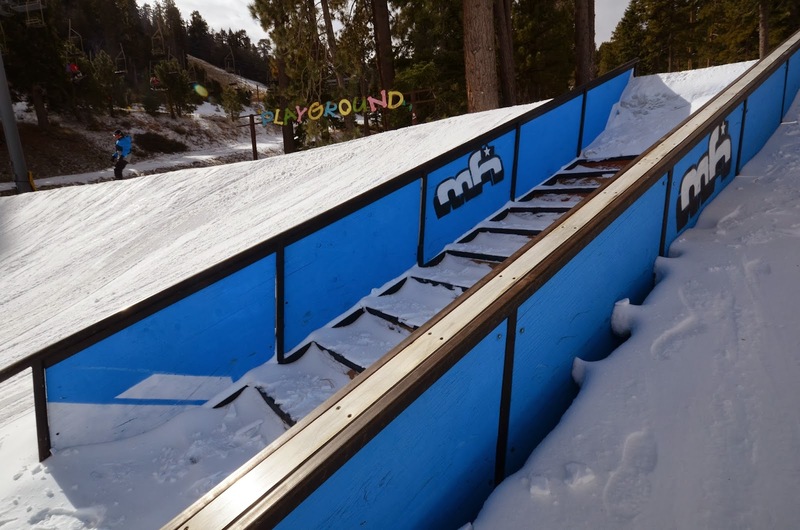 There's also plenty of jumps, rails, boxes and other entertainment in the area. Although I fall off one box onto hard ice. For a moment feel afraid that I've broken something. But I didn't. The most fun thing were the stairs. There are only two restaurants in the west side. 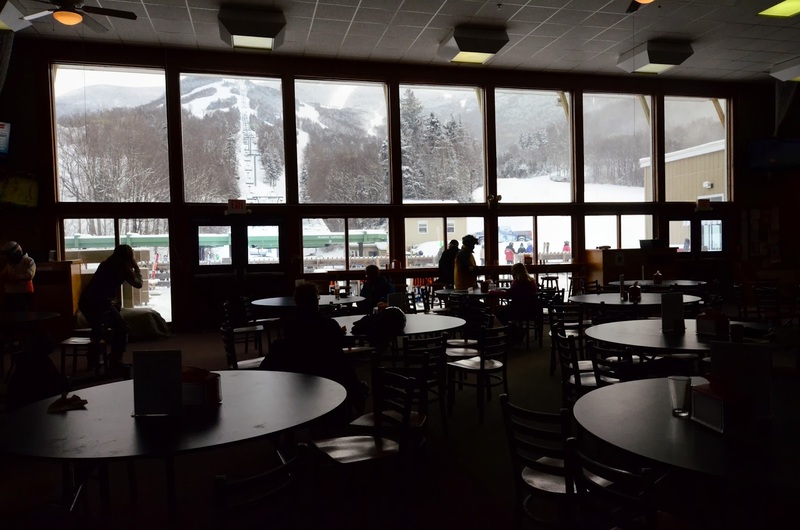 There's the cafeteria at the main lodge at the bottom, and then there's Bullwheel Bar & Grill near the beginner's area. I liked the latter much better. The food is the same, but the views are better, there's a fireplace inside and outside, and there's less people. Photos and videos © 2014 by Jari Arkko. Tämä blog löytyy myös suomeksi. "Avalanche!" Just a second later the avalanche hits us, moving at the speed of a high-speed train. I scream and try to fight, but it does not seem to have any effect. And soon, maybe just a second later the avalanche has passed. Only my head sticks out of the snow, and my friend has been thrown 40 meters and completely buried. What happened? The most important thing first: we did get out and everyone is OK: me and my friend, our guide, and the other team who also got hit by the same avalanche. Other than some small bruising, the only damage is to equipment. But it was a terrible event. I never want to get caught in avalanche again, and I do not recommend it for others either. 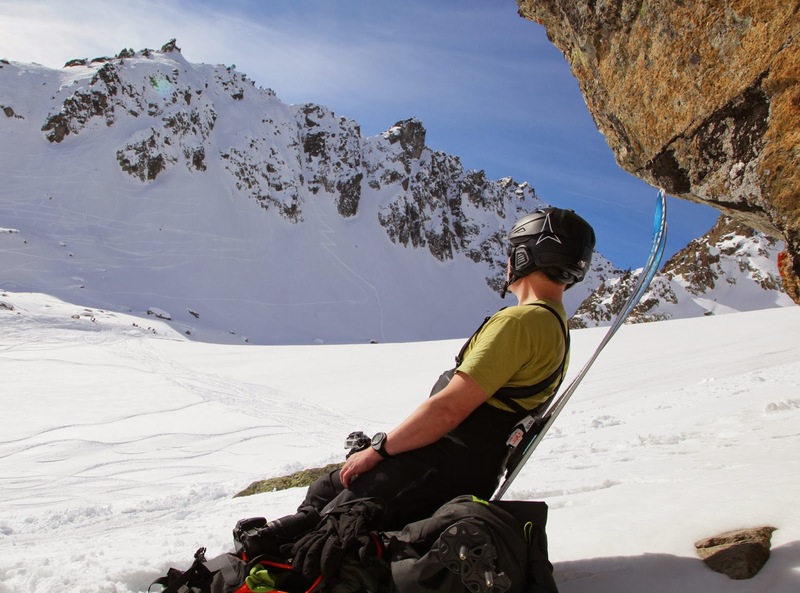 If you look at ski videos, you see lightweight avalanches that you ski out of. And you see avalanches that start under you and can develop into bigger ones. But it may be difficult to imagine an avalanche that starts high above you and runs you over at an incredible speed. There is nothing you can do about it. No time to ski out, no way to resist the forces, nothing… this happened two weeks ago and my hands are still shaking from shock. Being inside an avalanche is close to the feeling that a drowning person probably has. 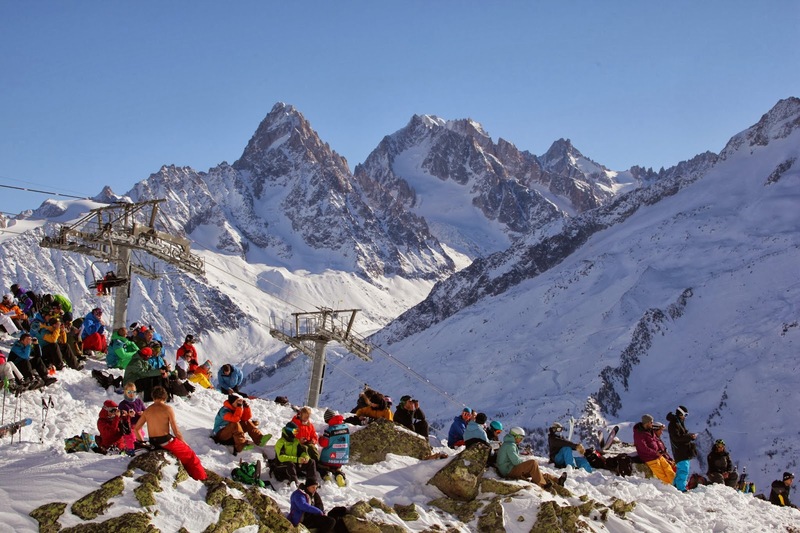 The accident happened on the first run of the day, close to the Balme and Vallorcine ski areas in Chamonix. 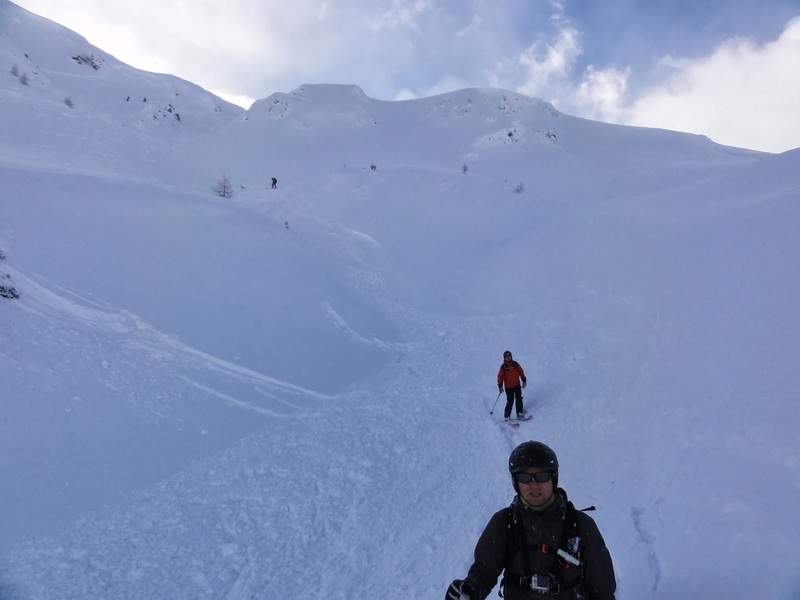 This was the second day with our experienced guide, and we had made a last-minute change to the day's plans due to avalanche danger elsewhere. 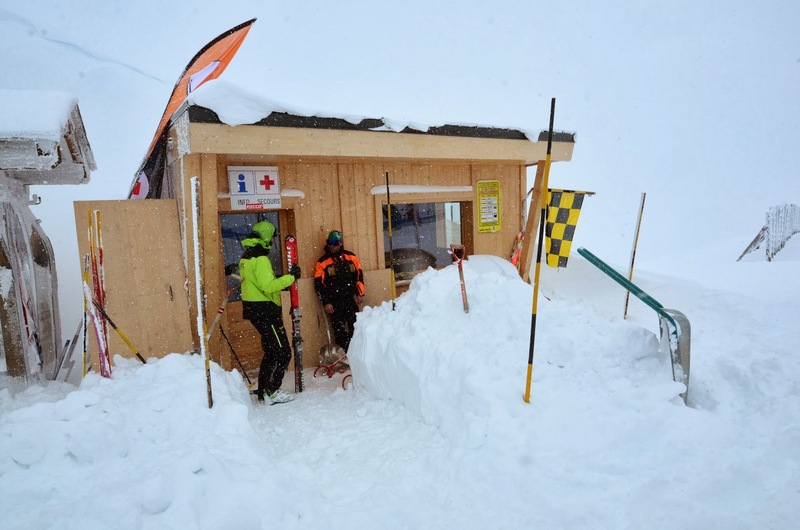 We had just crossed the border to Switzerland, and while there was a general avalanche danger due to the night's snowfall, we were not particularly worried. We skied in a place where at least large avalanches would be unlikely, as the slope was not steep enough. However, several hundred meters above there was a steep face. 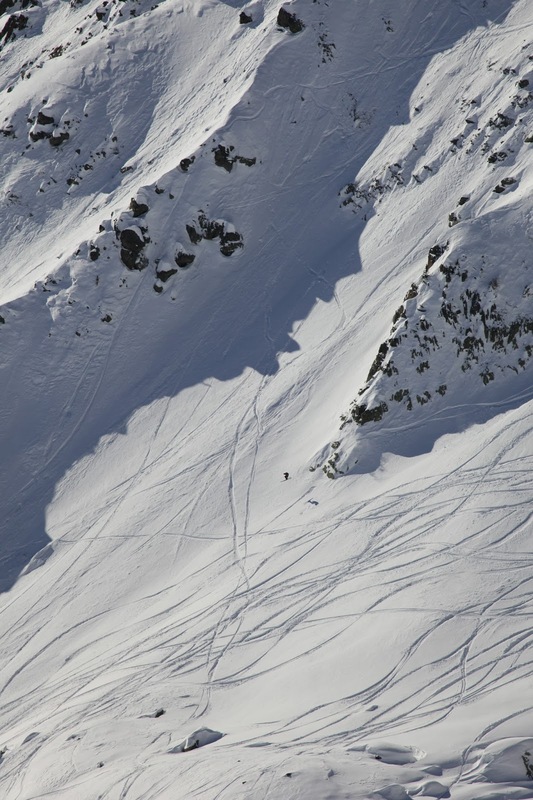 As we skied forward, high above us that face fractured. The avalanche turned into a wide, powdery cloud that first hit the plateaue above us, and then continued straight towards us in the mildly sloping couloir that we were at. 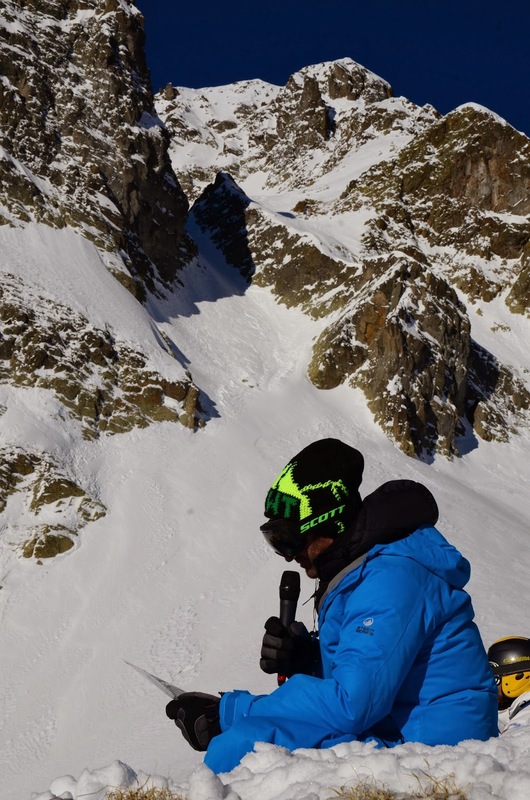 I had an avalanche backpack, but I did not have time to do anything after seeing the avalanche, other than to instinctively ski a bit towards the side of the couloir. Our guide saw the avalanche a little bit before us, and was not hit by the avalanche at all. I was just four meters after him, but was almost completely covered, apparently only moved a bit by the avalanche. Jarmo was behind me and under the fuller force of the avalanche. The panic that started from seeing the avalanche continued. I tried to lift myself out, but I was stuck. My hands were free, however, so I started digging myself out. Remi, our guide, tried to help me but we decided that it is better for him to search for Jarmo, as I could get out on my own. But we could not see Jarmo anywhere. Remi wanted to turn off my avalanche beacon, but it was deep inside my jacket. I grabbed snow furiously from around me, trying to get low enough to unzip my jacket and turn the beacon off. Finally I succeeded, but Remi's radio search could not find Jarmo's beacon. Luckily, a moment later we heard Jarmo further down. 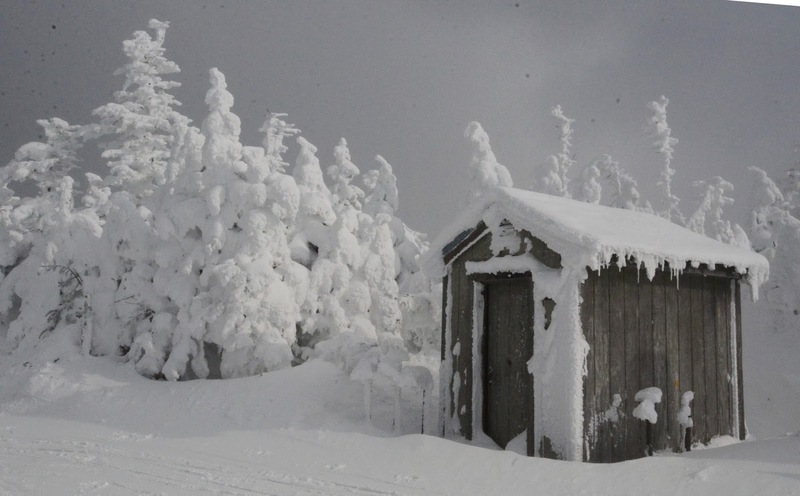 He had been blown away with the avalanche, on his back and completely under snow. Luckily, there was only a shallow layer of snow above him, so he got out by himself, and had by then started a search for me and Remi, also not finding anything. We searched each other at the same time! A turn in the couloir made us not see him. But what about other people? I have fractions of images in my panicking mind, and there are people above us in those images. For some reason I can't make myself understood to Remi. But after a while he starts shouting with two guys above us. Another group has been hit by the avalanche as well, and no people are missing. But I am not out of the snow yet. From the bottom my snow pit, the couloir wall looks dangerous. And would more snow be rushing soon over it? I'm getting claustrophobic and even more panicked. I keep digging until I reach the boot that is still connected to my ski. The snow is surprisingly soft - I can wipe a layer of just by pushing with my hand. Maybe the snow does not pack so tightly on the side of the avalanche as it does in the middle. Afterwards I realise that I might have tried twisting my boot to release the bindings. If my tight bindings would have allowed that. After I had gotten out, we still had to hack my ski out of the pit. 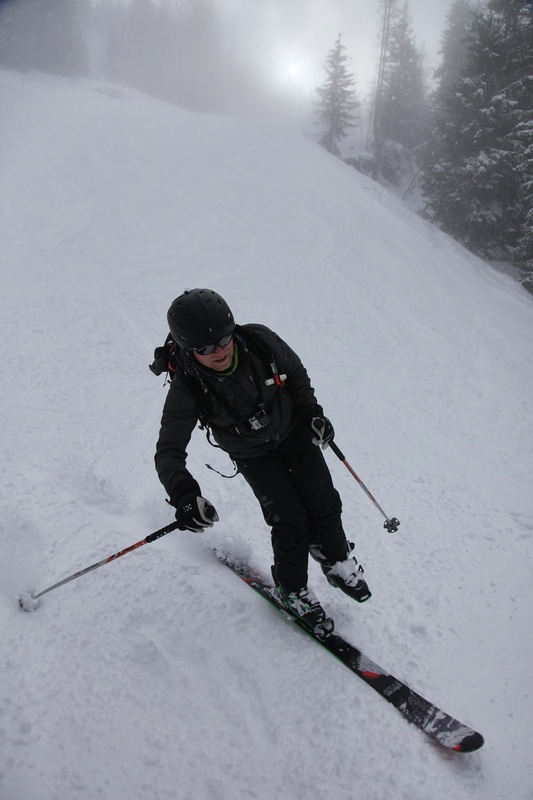 I had lost the other ski, both poles, and my eyeglasses. Remi continued to search for the skis, while I decided that I wanted to climb to the top of the couloir wall for safety. After a couple of minutes of unsuccessful searching, we all retreat for safety. But it is difficult to find perfect safety under a steep mountain face. And now we have another problem: we can't leave, as Jarmo has lost both of his skis, and I have only one ski. And Remi's bindings are not compatible with our boots. Walking through the snowpack is very difficult even for a couple of meters, let alone the kilometres we have to the ski area. Still on avalanche prone terrain. Communications are difficult. For some reason Remi's phone fails to make calls, and none of us have other types of radios. 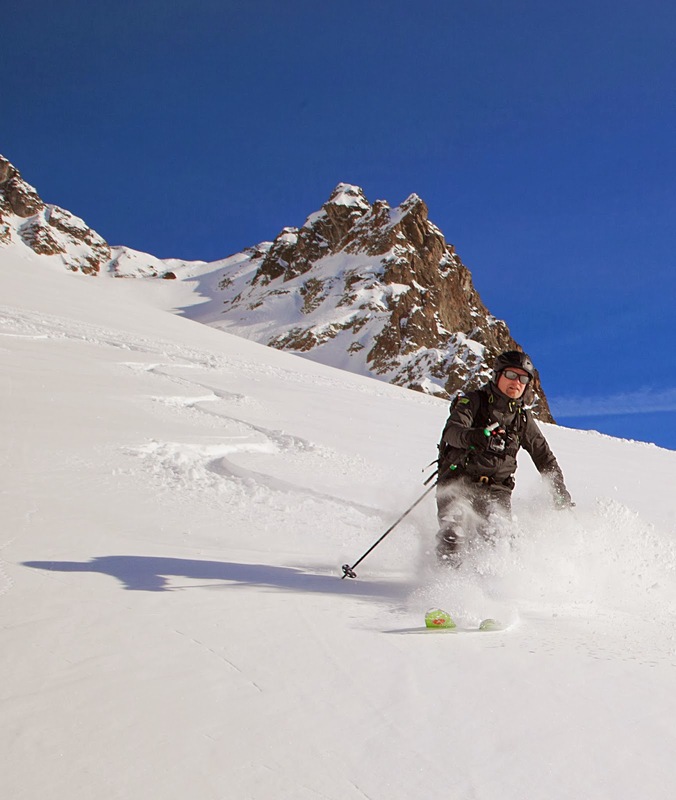 Finally, we reach two nearby guides with my phone, and the guides promise to bring us skis. The whole process takes half an hour. When the guides arrive they each loan a ski to Jarmo. We start moving, with me falling every few dozen meters on just one ski. We reach the other side of the couloir and start climbing back towards the ski area when the steep face avalanches again. Three times. One of the avalanches goes straight towards our waiting place. 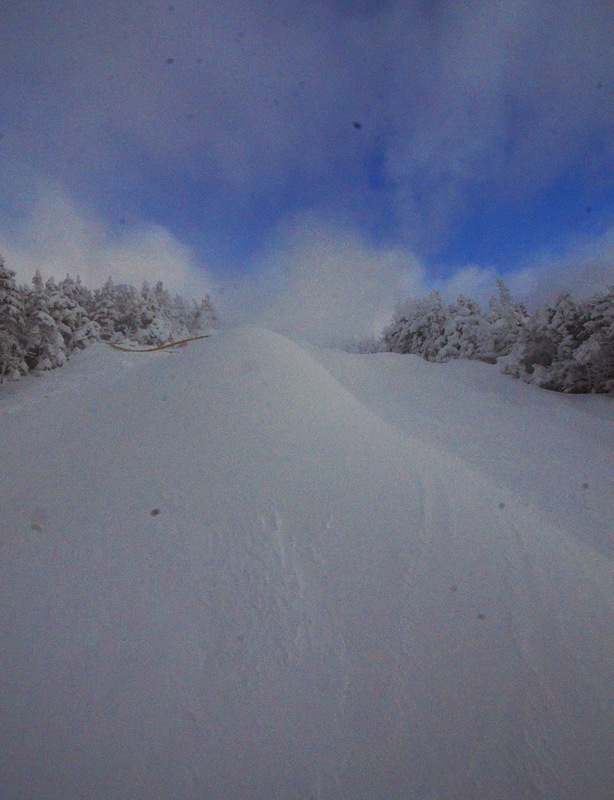 A large pile of snow stops in front of our tracks while the powder cloud goes past. We could have survived at the waiting place, but it would have been nerve-wrecking to watch an avalanche coming towards you, for the second time on the same morning. I'm not sure what we would have done. There's also a cliff right below the waiting place, so it would not have been possible to escape. I continue the journey on one ski. We have to ski back a long way to reach the ski area. 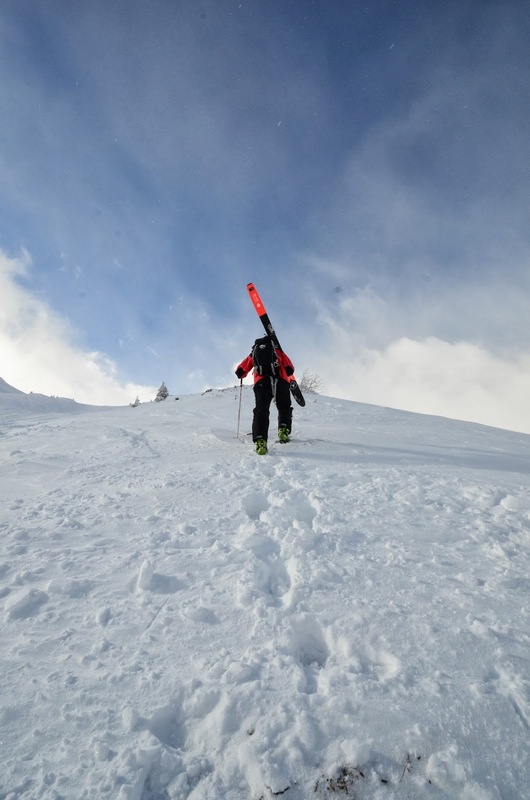 And even when we get back, we need to ski several runs to reach our car in the Vallorcine village. In the end, I learned to ski on one ski. The difficult bit was making turns towards the side that still had the ski. The other side turns were easier. 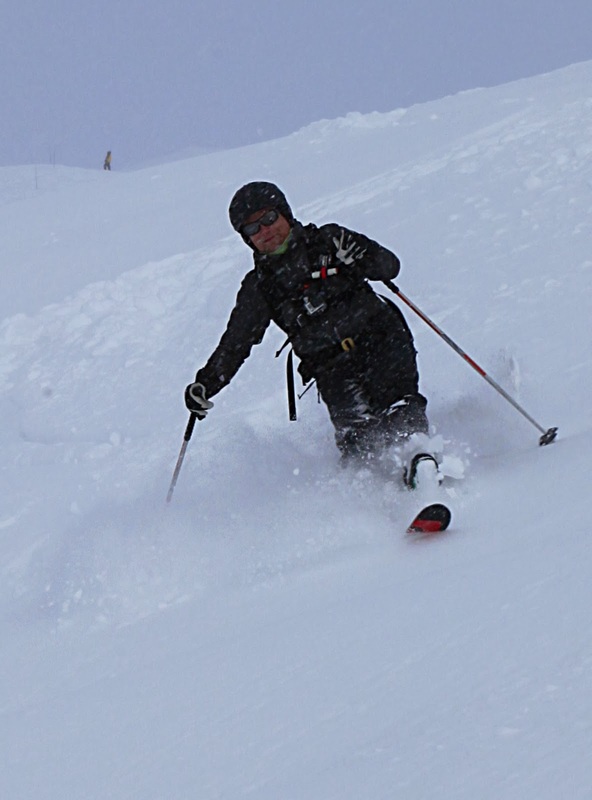 I even learned to ski a bit in deep powder, although still falling frequently. All was well in the end. But how an earth did we get into this situation? Was this a mistake or just bad luck? 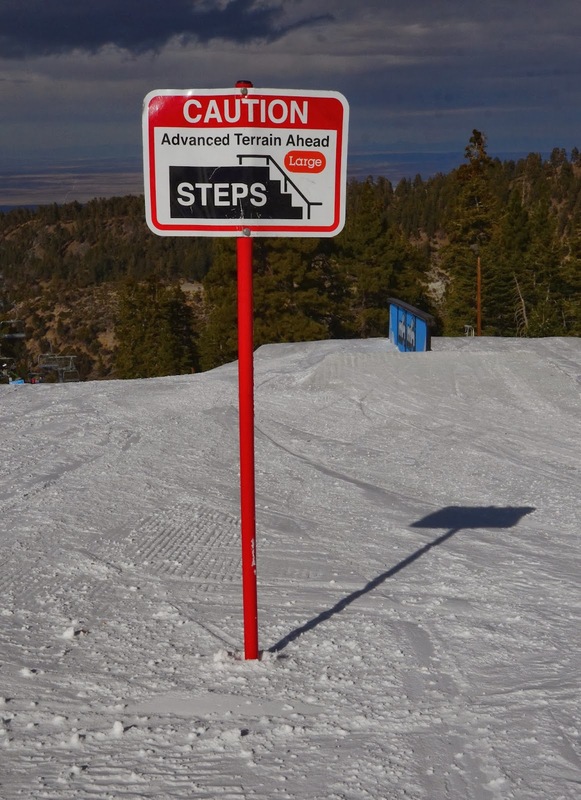 If you ski weird stuff once a week year around, it is perhaps likely that you will eventually run into an accident. Avalanche, fall, rock, crevasse, collision… in my forty years of skiing I've been very fortunate, and only had a couple of minor cuts. My luck run out? Unfortunately, that is not the correct explanation. I blame this accident on stupidity. 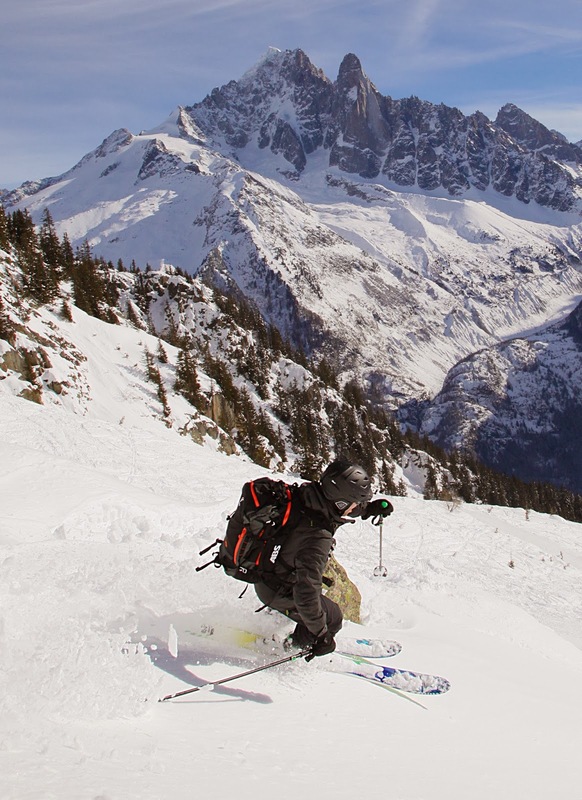 Silly technical mistakes, like having the safety on in my ABS backpack, even when we were already outside the pistes. I could have gotten it launched anyway quite quickly, but all this happened in the scale of human reaction time so it was already unclear if I had been able to pull it under any setting. But we might have had more time, if we had not all stopped near each other and focused on the skiing rather than looking at the environment. And what kind of communications equipment did we have? If I had been under the snow, whose phone would have been used to ask for help? But the biggest mistake was going to that place. Afterwards it turned out that this place was one of the most avalanche prone places in Chamonix. 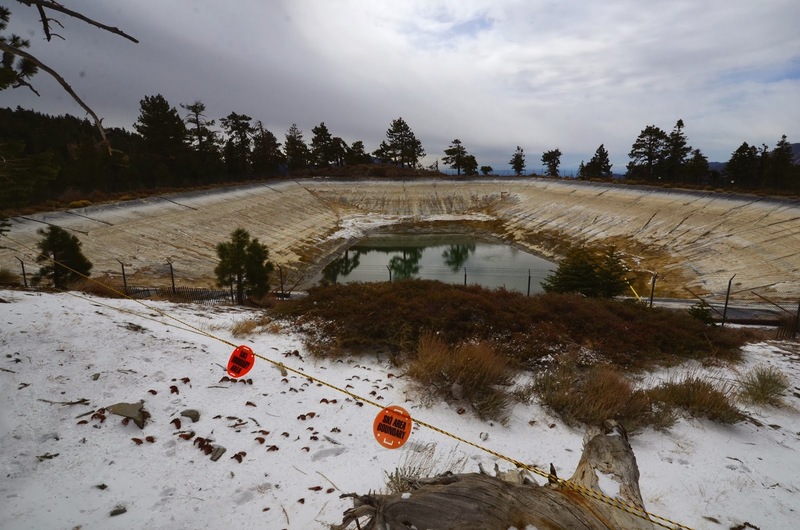 We had no good reason to go there nor we had we done enough research about the state of the snowpack that morning. And seeing that the snow was avalanche prone as we skied the first few turns, it did not make us change course become more conscious about the dangers. Our plans for the day had changed on the last minute, this being our third choice. This may have affected our guide's ability to determine what the conditions were. 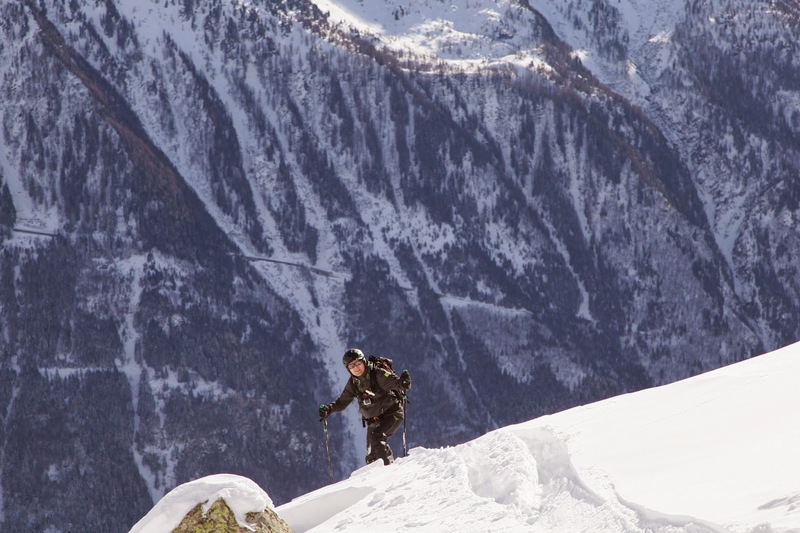 And more to the point, skiing with a guide is no insurance against the forces of nature. News reports of mountaineering and skiing accidents are almost always from groups who were with guides. This does not mean that guides are dangerous, just that they cannot change reality. 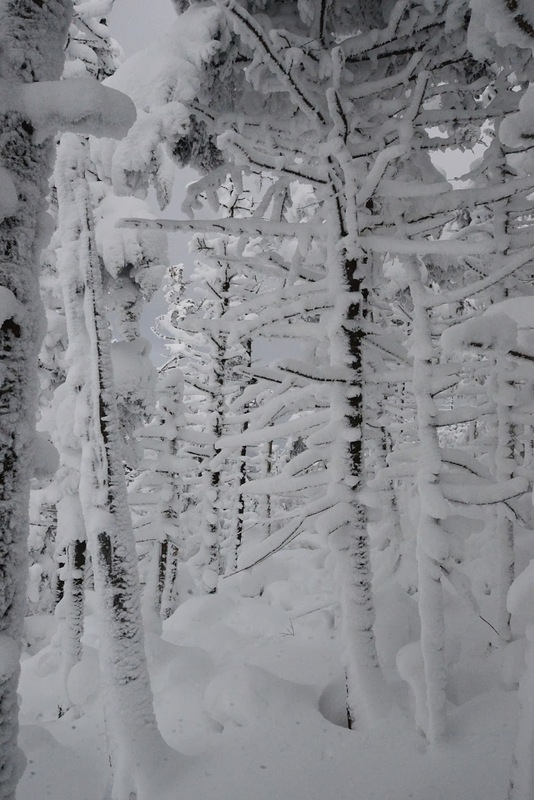 After our accident, I have realised that even with a guide, everyone in the group needs to understand the snow situation and other dangers, and be aware of issues might arise. When I'm on the mountains alone or with my friends, I usually think pretty carefully what the situation is, yet with a guide I've outsourced all worries to someone else. Now I realise that is wrong, and we were lucky to not had to pay a high price for that complacency. Before the avalanche we had skied everything possible. 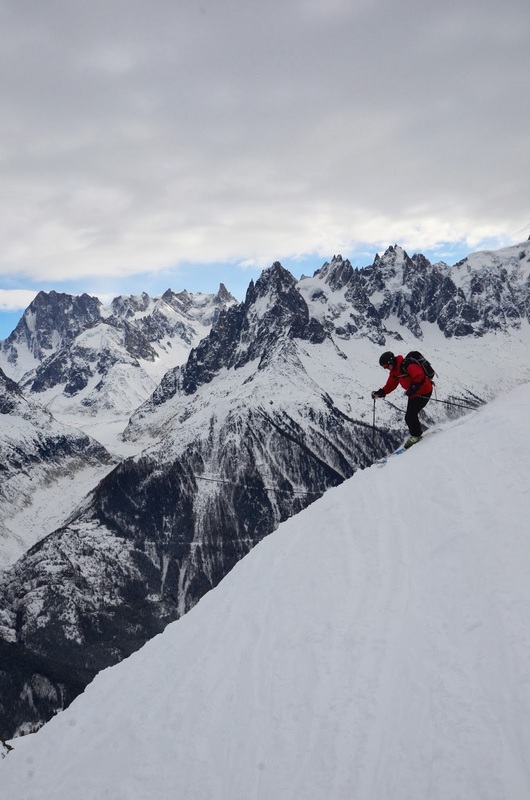 After our arrival, we skied the black run off Brevent as a warm-up, and then continued to ski 45 degree steeps next to it. After the avalanche we stayed primarily on the blue runs and toured all the bars in Chamonix. We also enjoyed the sunshine and followed the freeskiing championships. In the future, I'll probably ski more sand dunes than snow. Photos and videos © 2014 by Jari Arkko and Jarmo Ruuth. Tämä blogi on olemassa myös suomeksi.